When a foreigner decides to live or to invest in Brazil, one of the first things that he will have to do is obtaining a CPF document ("cadastro de pessoas físicas"). Every person that has a CPF registration recieves a number, which is a requirement for all kind of brazilian procedures, as for instance, to become a partner in a brazilian company, to open a bank account in Brazil etc. 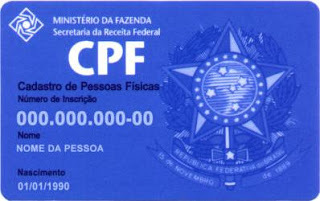 Foreigners may request the CPF through the website of the Brazilian Federal Revenue (http://www.receita.fazenda.gov.br/aplicacoes/ATCTA/CpfEstrangeiro/fcpf.asp) and then attend the nearest Brazilian embassy with all the document required for a personal interview (the interview is merely ceremonial). 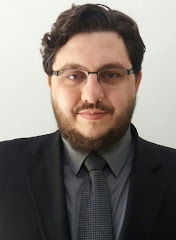 If they are already here in Brazil, they may request the CPF in post offices, or in any branch of "Banco do Brasil" or Caixa Economica Federal (both are very famous banks). Not all agencies and post offices offer such service, so we advise you to call before atteding in person. You should bringh with you (i) passport, (ii) adress, (iii) and a document bearing your mother's name. There will be a small fee (maybe 2USD). After that, you must go to the nearest Revenue Service office bringing the proof of paymentof the fee and request a CPF number. It should be granted on the spot.